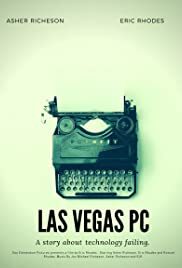 Las Vegas PC is a tale of two life long friends having technology fail them as they attempt to change their lives forever to free them from their mundane existence, once and for all. In order to find yourself, sometimes you need to figure how to lose yourself. A revengeful father embarks on a dark thrill ride of lost memories, conspiracy and zombie-like symptoms. Finding the mysterious darkness within is the source of the bizarre world he has uncovered.